Thanks to Michael for the great write-up for the Photowalk. Click here or on the Photowalk banner for more information, or to sign up to join the walk. 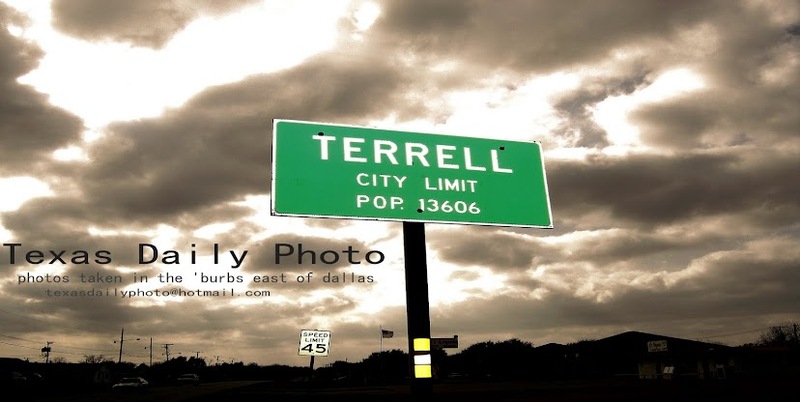 The Photowalk will be on Saturday, July 24th from 9a-11a in downtown Terrell. C'mon out and snap some photos around town for a chance to win prizes through Scott Kelby's Worldwide Photowalk! Make sure you go out and grab a copy of the Tribune's progress edition from Sunday! Be sure to check the 'our commerce 2010' section for a great write-up on the IRA - Irish Redneck Association - a new bar in Terrell located on 148 south! I like that picture. 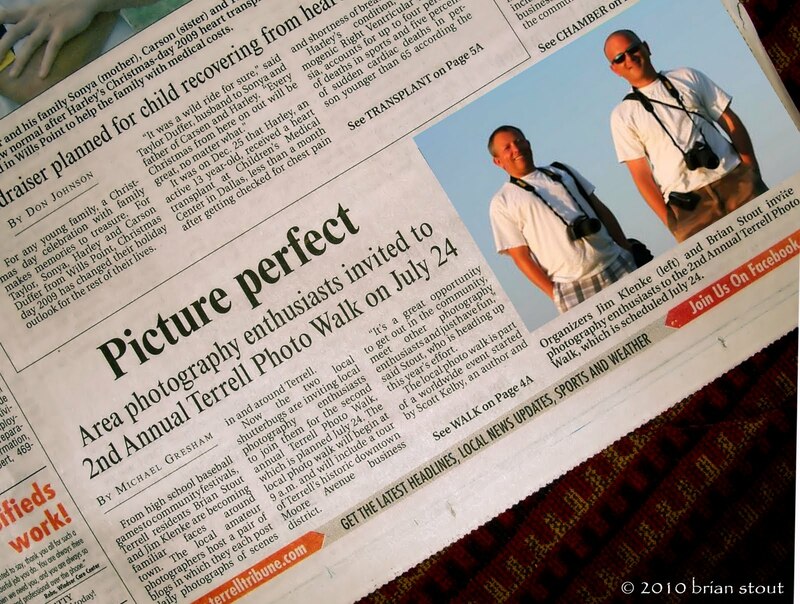 I cant wait for this years photo walk. It's a fantastic article, Brian. Like I told Jim, if I had a private jet, I'd fly on down and join y'all. Have fun!